These two SLR cameras are my new friends. And they are mine. 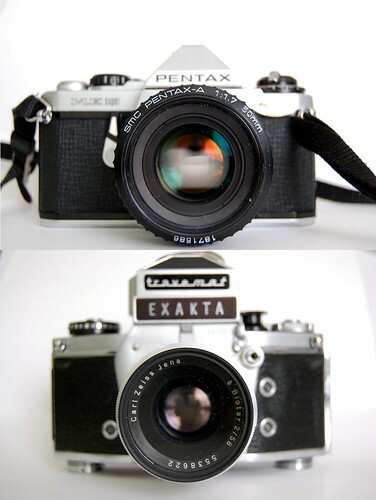 It’s a Pentax me super and an Exakta vx1000.